I am 65 years old and for most of my adult life, up until about 5 years ago, I was a runner. I began running in 1976 after moving to the Washington, DC area for a job with the Federal government. Eventually, I had a 36 miles per week habit. 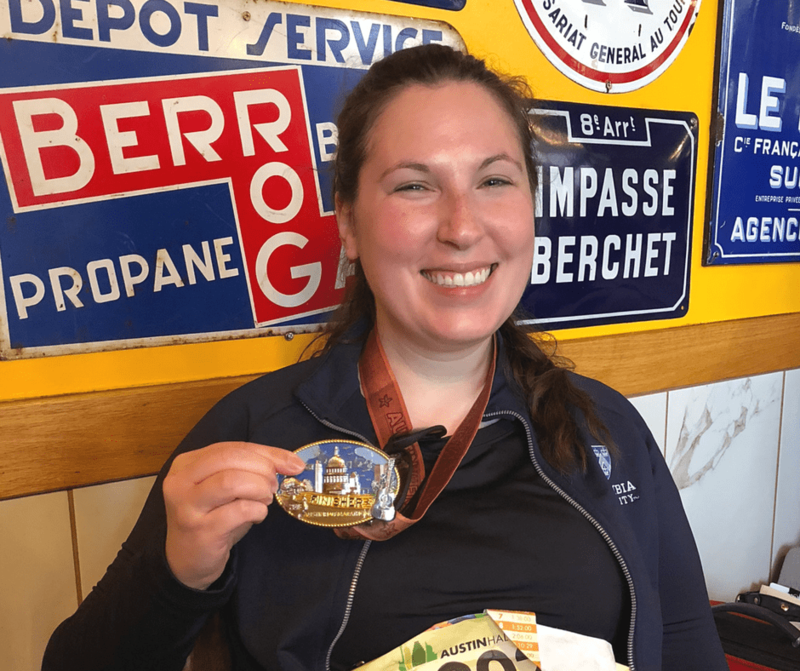 I’ve completed 16 marathons, a dozen triathlons, and assorted other races of varying distances. 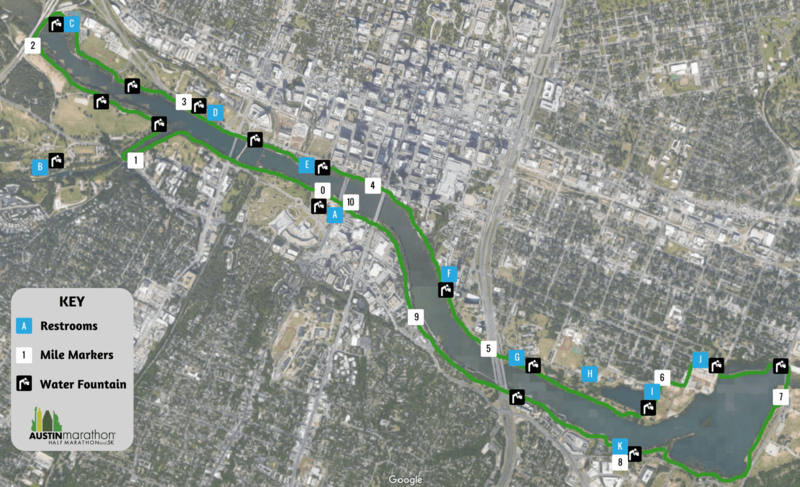 On February 18, 2018, I completed the Austin Half Marathon with my daughter, finishing with a chip time of 4 hours and 18 minutes, which was certainly nothing spectacular… except for the fact that I have Parkinson’s Disease. Andrea enjoys a post-race meal with her family after completing the Austin Half Marathon with her father, Robert. Parkinson’s Disease (PD) is a progressive neuromuscular disorder that affects both brain and body. Typical symptoms can include tremors, slowness of movement, rigid muscles, trouble with balance, fatigue, and loss of mental sharpness (dementia), among other things. Over time, swallowing and other bodily functions are affected and there is no cure. Not everyone will display the same symptoms, but symptoms that are experienced will become more frequent and severe. Prior to the half marathon, I didn’t (and still don’t) know of any other Parkinson’s Disease patients who attempted this distance and, when we spoke, neither had my neurologist. He said that he had never treated anyone at my fitness level so I should be confident. This time, I would be attempting my first long distance race while having a disease that dominated my life. So many things could go wrong. I was terrified. I only knew how to train for normal running distances while free from disease. How do I train by walking, with the kind of effect I would need to build strength for the long haul? 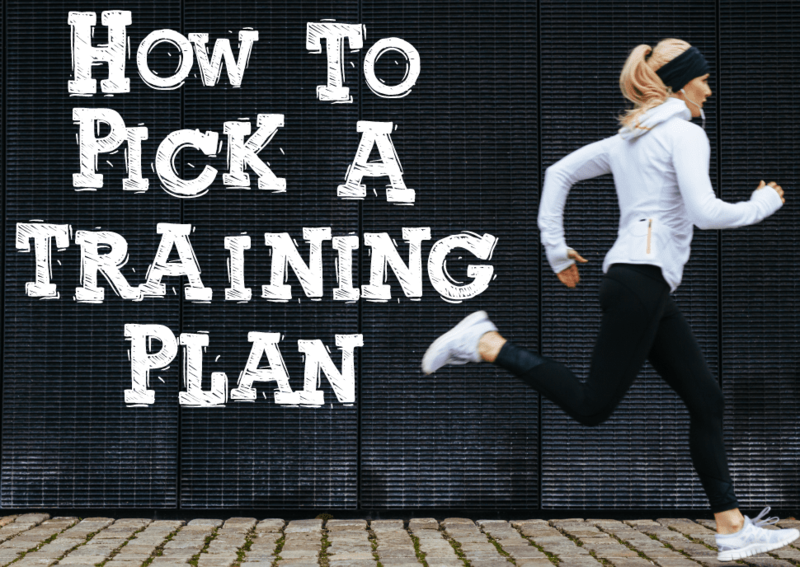 What do I do to substitute for long runs and speed work? I trained hard but could not tell if I was getting a training effect. I just walked for as long as I could and jogged for short spurts in between. Would it be enough? Would it be enough to enable me to take the nearly 70,000 steps to the finish? It was still dark when I awoke the morning of the race. I needed extra lighting to take the 10 different medications that I need to keep my symptoms at bay. My Parkinson’s Disease meds are generally effective for most of the day but by evening have completely worn off, so I wondered as I downed my morning pills how long they would keep me upright on that day. I wore a shirt signed by the members of my weekly Power for Parkinson’s (PFP) exercise class. They’re a courageous group of people who offered me encouragement and support as I trained. Before heading to the course, my daughter helped me attach my race bib. My tremors and coordination issues make it difficult to use something like safety pins on my own. Happy just to be alive at the start, we set off. I was tired after 3 miles. What went wrong? Did we start out too fast? I was going to have to grit it out. Support on the sidelines helped. At around mile 11, encouragement came from about 30 young adults who formed a canopy over us, cheering us on. I walked and ran for the duration of the 13.1-mile course with my daughter beside me, supporting my efforts and guiding me to the finish. I was more tired than I had ever been before. Crossing the finish line that day had special meaning to me because it showed me that I could still accomplish fitness goals in my life despite the challenges of a disease that seeks to rob me of my ability and strength. I’ll need them both when I try the Austin Half Marathon again next year.